According to ancient theory life on earth came into existence because of these elements. They say that our body as a whole is a complex constituent of Panchabutas. These five elements are believed to be basis for the creation of all cosmic rays. All the five have unique characteristics and account for different kinds of experiences. 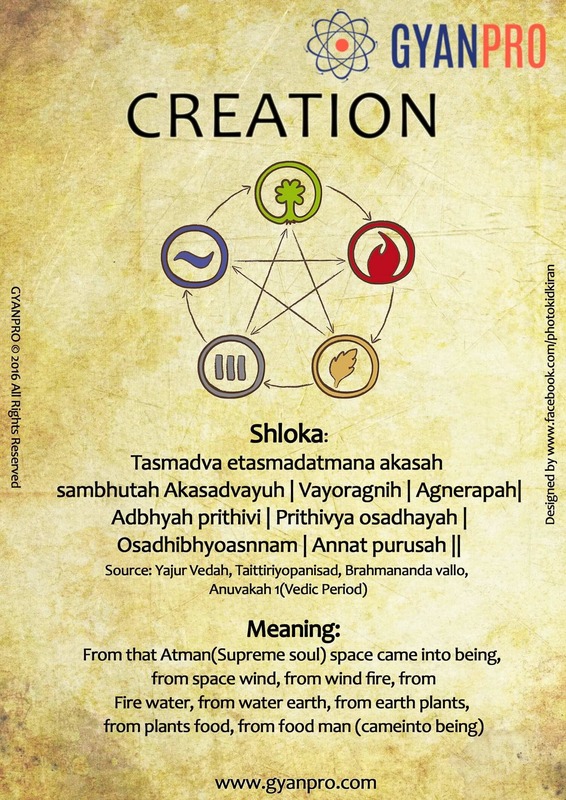 It is like a cycle and our body is also known as chakra according to Upanishads. One starts life with earth and ends in earth. Each of these elements are very diverse and matchless. According to Vedic science each and every element of Panchabuta is associated with one of the senses in our body. Let us see the characteristics of each element. The space or Akasha is said to be elliptical in shape and generally it is black or colourless. Akasha is associated with hearing. The part above our eyebrow is the Akasha. Visualisation and hearing are the characteristics of it. The space between the two eyebrows is known as Aagna chakra which considered to be the powerful centric spot. Indians always follow a tradition of keeping Bindi or sacred Kunkum in between the two eyebrows, by doing so there is pressure applied on that point which activates the senses associated with that chakra. The Vayu element is corresponded to have a hexagonal figure. The chakra is heart in case of Vayu. Sense of touch is the characteristic associated with this element. The movement of air gives a sense of touch as there is wind all over human body. It is said to have a triangular figure with space between heart and naval. Fire is represented by red colour. The sense of sight is associated with fire element. Sense of sight leads to greater imagination and visualisation of what we see. The region between naval and knees is said to be the Apas region. Human body consists of about 65 – 70% water. The sense of taste is associated with water element. Water present in our diet is what gives us the ability to taste. Water element plays very vital role in maintaining body balance too. Earth element is associated with a square figure and space lies from tip of our body till the toe. Whole human body is said to be earth and beholds the sense of smell. These characteristics evidently shows that human body is made up of these Panchabutas and thus Panchabutas are source of creation.